Fue solo cuando la estúpida actualización en línea se cayó que todo se fue a la mierda con NO mejora en la velocidad de cuadros para compensar y las siguientes dos actualizaciones rompieron las cosas de izquierda a derecha en un solo jugador. Hicieron lo mismo con GTA V, por lo que no es un problema de hardware, simplemente la codificación sh * tty que no se comprueba para detectar efectos negativos en un solo jugador debido a que demora demasiado en hacerlo. Hagámoslo para que esa camisa en particular no esté disponible fuera de un problema técnico y aún así no se le permita guardarlo en su guardarropa. Ah, y los pantalones que usa en el campamento solo están disponibles para usarlos en Pronghorn Ranch. ¿Por qué? 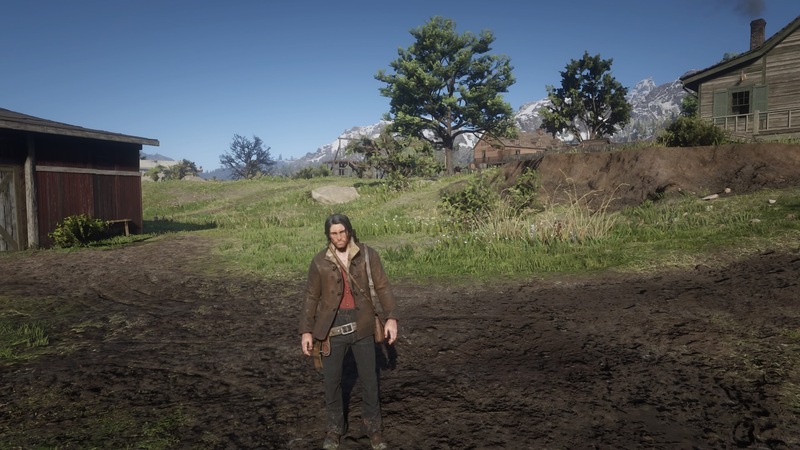 Porque así es como es boah. Así es como se hace. Not to mention the black suspenders. I suppose there is always hope, but I think it will be 100% online related. Me too. I wonder if any of the GTA Online Insiders can give us some info on if the next patch includes single player fixes? 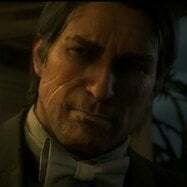 Is there anyone leaking info about rdr online's updates? Not that I know of. 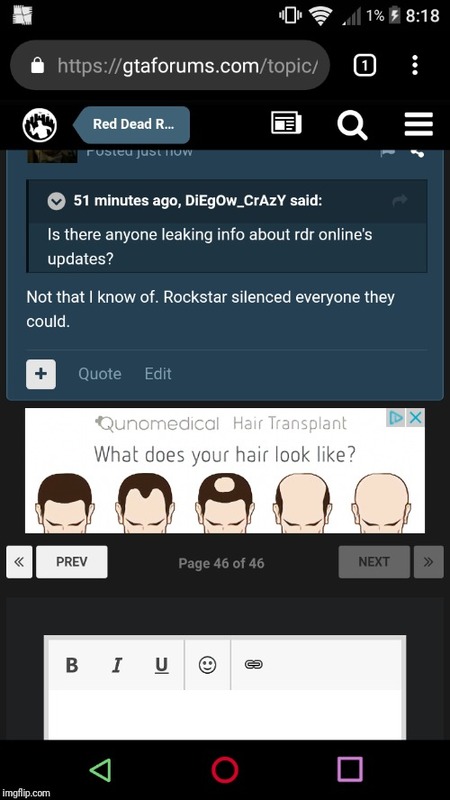 Rockstar silenced everyone they could. Recently I am experiencing more frame drops on my One X in Strawberry than in Saint Denis. In fact for some reason the Strawberry is the most laggiest place in the whole game. I’m 35 and slowly starting to resemble the look of the second picture from the left unfortunately. Oh well, that’s life I suppose. I'm barber and recommend you trying minoxidil, It may not get your hairline back but It'll prevent from receiding even more. I'm 26, my hair lenght goes almost to my weist and that's the thing I'm really afraid of surpassing the 30 years lol. "What the hell are you wearing?" how did u remove the second holster? I'm not sure, I still have some old outfit from before the updates without the off hand holster. I don't know how it's still saved like this. Thanks for your recommendation, but tbh I’m not too fussed or depressed about it just yet, I think if it does get a lot worse and I get a bit insecure about it, I will just shave my head completely. 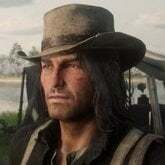 I've noticed that NPC John wears retextured versions of the ranch outfit flannel Cassimere shirt instead of the regular Cassimere shirt of the cowboy outfit. Literally cannot wait for all the mods PC will have. 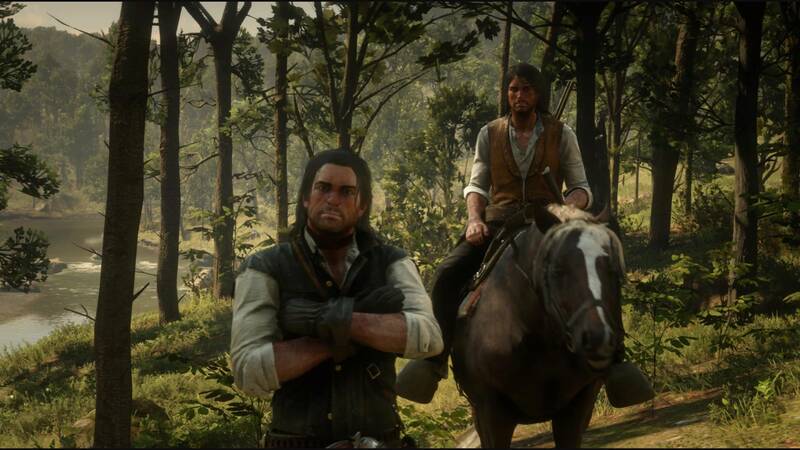 Gang companions, fixed wanted systems, John's hair, restored cut content (if there is any), etc. etc. Can you get that outfit for John too? you've used the save editor and save wizard, that's all you need to do that kind of stuff? Unbelievable that an existing and working closed coat is not even available from the get go, need to edit your save. Want the belt and satchel gone ? need a glitch! lmao! 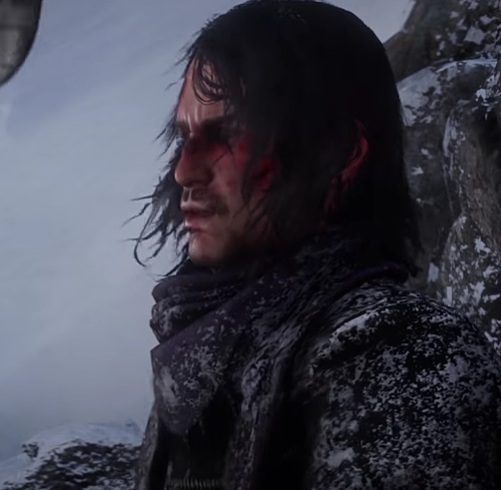 If R* doesn't add improvements for singleplayer on 26th patch, I'll be forced to move on from rdr 2, there's literally nothing to do after I completed it all, I don't want to play the game over and over again, it has become really boring. Not to mention John looks like sh*t.